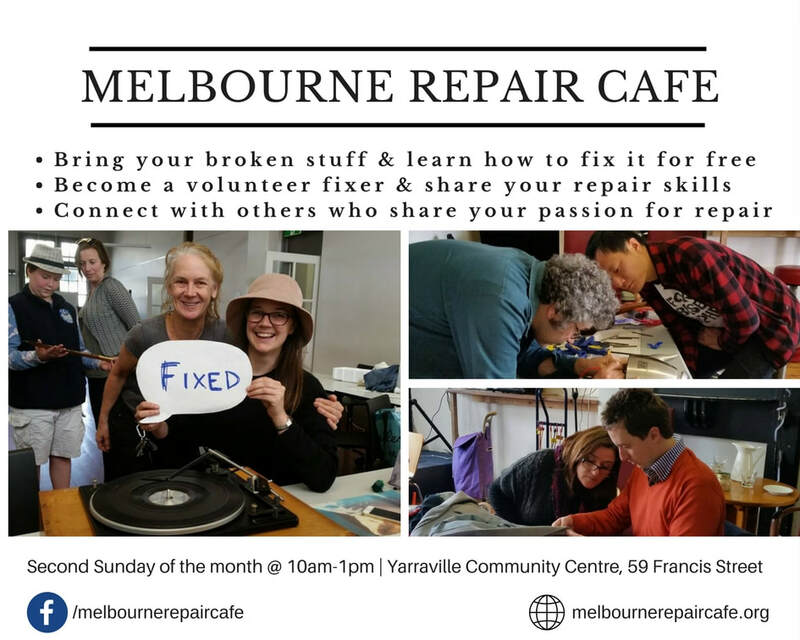 The Melbourne Repair Cafe holds monthly repair sessions where volunteer fixers show you how to fix your broken or torn stuff for free. We also hold a “really really free market” where you can gift your good stuff, talents, skills and services. We have tea and coffee at the community centre and welcome baked or other nibbles to share! GETTING THERE: If you’re travelling by public transport, you can catch the 409 bus from Yarraville or Footscray train station – it’s a 5 or 8 minute trip to the corner of Stephen and Francis Street (opp the community centre). There’s also a carpark adjoining the community centre and free parking in the surrounding streets. The Melbourne Repair Cafe is an initiative of Transition Town Maribyrnong under the umbrella of the Repair Café International (http://repaircafe.org/en).